With the ethereal grace of the fading sun, a tune of wind came out. Not alone. There was the vibrating drum beats in the background. They were approaching the Mulluva colony; Oorali Kuruma people for the commencing of another Uchaal. 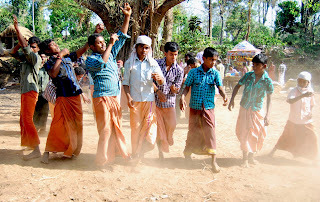 Uchaal is a tribal festival of Wayanad, Kerala. It is celebrated only among the Kuruma tribes. And the venue of the festival is the Mulluva Kuruma colony in Paakkam, Waynad. 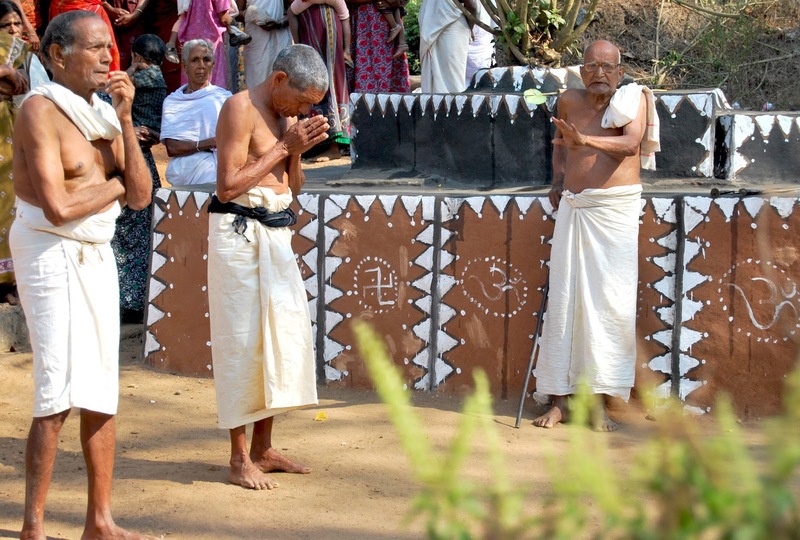 The Kuruma tribe is one among the prominent tribal groups in Kerala. They have their own unique culture, occupation and life style. They have an ancestral root which is called Nayadikal(Hunters). Since every community has their own customs, style and festivals, their story may not be unique. But the way they celebrate all these and cultural identity which is revealed during those festivities are worth studying. Those festivals are not exactly like other common festivals of modern times. Each has a distinct style, set of customs, beliefs and rituals. Uchaal is one of the major festivals of this tribe. It is celebrated in the month of February. Three-days long celebrations will be there. Kurumas from every nook and corner will come to the colony for the festival. Uchaal is their Hunting festival. 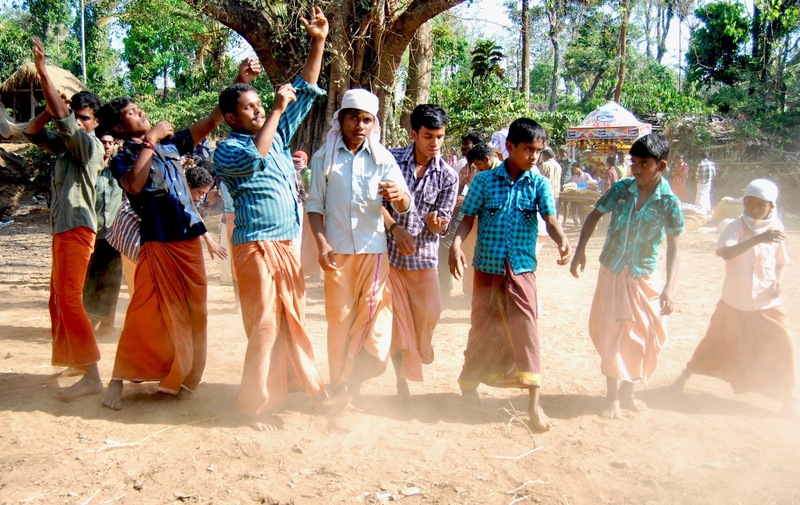 Two divisions of the Kuruma tribe, MulluvaKuruma and OoraliKuruma celebrate it together. Oorali people congregates at the Mulluva colony with drums, songs and dance. They performe their own Thappakkali on the ground near the Mulluva colony. For this they use drums, flute and rhythmic movements. After their performance it is Mulluva’s turn. Their performance is very different and has a good order and coordination. That dance form, Vattakkali, is considered to be one among the major folk art forms in Kerala. They will dance till early morning. Then again thappakkali begins. There is a shrine nearby. Main rituals will be performed there. A never ending water source called keni is there in the colony. This pure water and the surrounding place bear a mark of holiness in their mind. Mulluva leader is the head of all celebrations and rituals. The oracle will talk to the leader and people. “It is more like a democratic parliamentary system. People share their problems and needs with the god through a mediator or an oracle and pray for a good future,” says John, a social activist working for the welfare of the tribe. Food is the main attraction of the festival. Mulluva people will make a grand feast for the Ooralis in the festival days. In the early period they used to hunt and fish in the forest. Since the laws are strict now they use chicken only. “Years before,the festival was really joyful and people celebrated it with utmost interest and dedication. People used to sing, dance, eat and drink. Lot of food was available. But now the condition has changed. The olden day charm is missing,” says Kappi, the present leader of the colony. Each and every ritual and art form performed with the festival can be viewed as symbols of their unity, past prosperity and never ending hope. 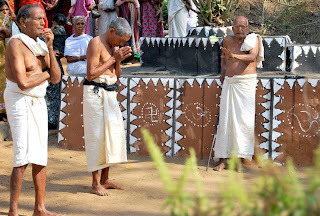 “When they perform vattakkali, the way they hold each other reflects their belief in unity which is inherited as a cultural strength,” John adds. Uchaal is a merry making festival accompanied by religious rituals. At the end of the festival, Mulluva Kurumas will distribute rice as remuneration to the Ooralis. Oorali leader will receive it and distribute among his people. The whole expense of the festival will be on the Mulluvas. “The younger generation doesn’t feel the need of preserving these cultural treasures. Their attitude towards the festival is not promising. Many consider these traditions and celebrations as something which make them inferior or uncivilized,” says Sareesh, an educated youth from the tribe. It is the present scenario. May be we are witnessing the twilight. As the drum beats fade, a tradition may be losing something which is of their own and something which cannot be restored.